If you just upgraded to iOS 9 and during the process some of your important pictures or videos were deleted, here are three quick and easy steps to see if your lost or missing photos are recoverable. 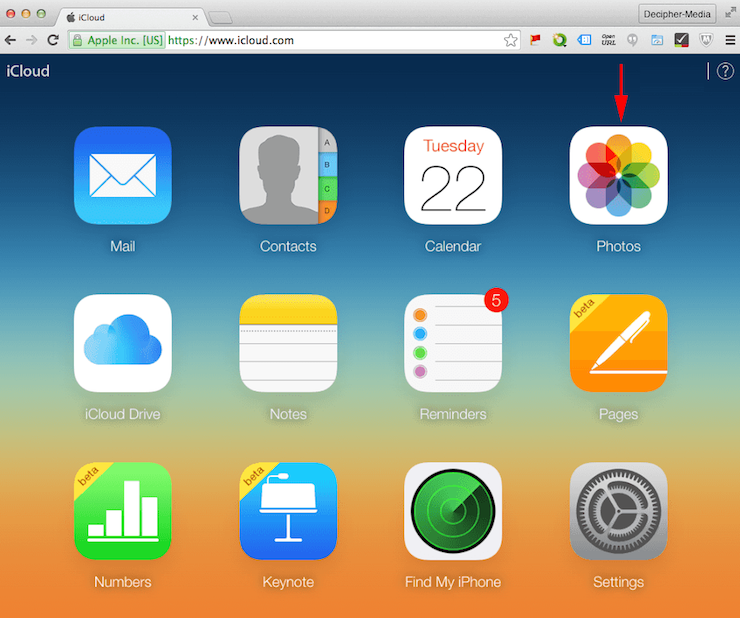 1) If you have iCloud Library enabled, the first thing to do is log into your iCloud.com account and select Photos and see if you have iCloud photos turned on. If you do, your missing photos may be safely stored there. 2) If you use PhotoStream, then you may have copies of your photos in Photo Stream on other Macs, iPhones, iPads, or iPod Touches if they use the same Apple ID as your iPhone. 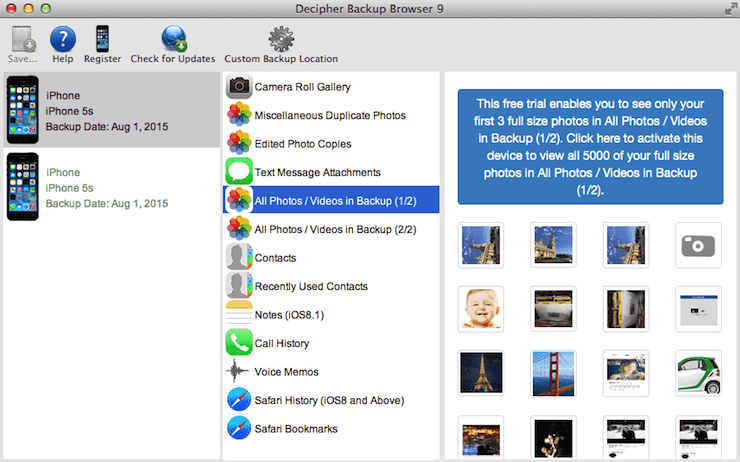 3) To search for lost iPhone photos in your local iTunes backup on your computer, the easiest option is to download the free trial of Decipher Backup Browser on your Windows or Mac computer. The free version of Decipher Backup Browser will show you all the photos and videos contained in your most recent iTunes backups. There is a good chance that if you backed up at some point in the past that some of the photos or videos you are looking for will be accessible. We hope that these three quick tips to check for lost or deleted iPhone photos that went missing after upgrading to iOS 9 are helpful. If you have any questions or need help to retrieve your lost iPhone photos, simply contact us via our support page. I purchased one of their programs and it repaired my corrupt iPhone backed and solved my issue. Sometimes you gotta pay and support the developer to get what you need.